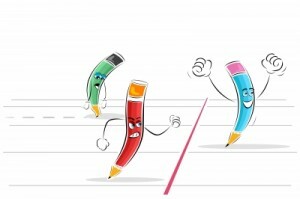 Home › Idioms › On your marks, get set, go! Whether or not you’ve been following the Commonwealth Games, or are a fan of sports in general, there’s one facet of sporting culture that’s hard to avoid: sport idioms. Although they originate from the world of sport, these phrases and sayings infiltrate our everyday language. I enjoyed researching weather idioms for one of my earlier blogs, so thought I’d continue the series by rounding up a selection of sport idioms – which I’ve grouped by the discipline they’re associated with. There were so many popular sport idioms to choose from that I could only include a selection here. Have I missed out your favourite from this list? If so, please share below.